Installing rooflights or any kind of architectural glazing from VisionAGI is more than just about bringing more light into your home. It’s a lifestyle you are creating. No matter which area or room of your home you are seeking to illuminate, be prepared for your lifestyle to change as a result. It could just be you end up spending more time in that part of your home, or you end up using your light-enhanced room that much more. After all, the benefits of installing rooflights don’t just stop with all that additional daylight or even an opportunity to appreciate the night sky. There is the energy saving aspect too as rooms become that much more liveable and welcoming all year round. However, VisionAGI’s extensive collection of standard and bespoke rooflights is just one aspect of our range of architectural glazing services. We also offer design and installation services covering the entire range of light living lifestyle options that can be created with architectural glazing. Browse our case studies including the Old Clock Tower in Lincoln (pictured above) for inspiring examples encompassing everything from glass atriums, staircases, extensions, glass enclosures, sliding doors, balustrades, glass roofs and walling. We work closely with your architect or building contractor to achieve the light-filled lifestyle you’re after or we offer our own in-house design and installation service. Glass is one of the most versatile materials you can work with when it comes to home improvement – or extending your home for that matter. When people think of glass, they often think ‘fragile’ but this is actually not the case. Today’s high specification structural glass places the emphasis on ‘structure’. Glass doesn’t just bring the light in, it can be manufactured to be tough and resilient too – without compromising on light or aesthetics. A glass home extension can add drama, value and light so why not consider it as your primary building material if you are thinking about extending your home? Want more inspiration? 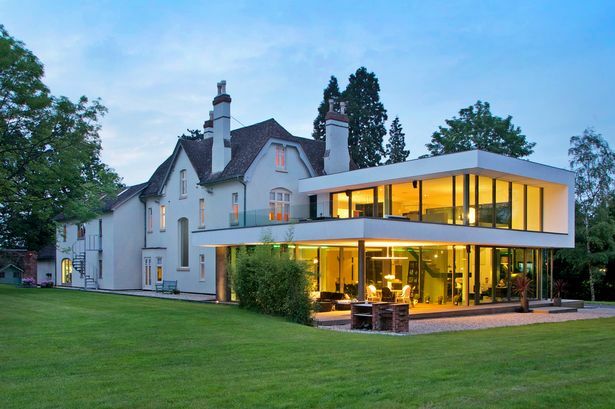 This stunning glass home extension in Germany links the old and the new. While this contemporary extension to a Victorian home in Sutton Coldfield provides a striking contrast without taking anything away from the original.